Barclaycard spoke out against the recent claims of fraud and phantom charges associated with using of contactless payment technology, according to thisismoney.co.uk. According to a recently published article by the Telegraph, millions of people who use contactless cards could be at risk of having their details stolen by a remote device, such as a mobile phone. The report suggests that a fraudster could use a mobile phone to potentially read and steal card numbers and other personal details from contactless cards, without their holders ever knowing. Barclaycard argues that contactless cards have not changed the risks in the payments industry, and pose no greater threat to security than traditional plastic ones. The global payment business affirms that it has seen no greater incidence of fraud on contactless versus non-contactless. Furthermore, the information that can be read from a contactless reader is the same as can be visibly seen on the face of the card. There have also been claims from some shoppers that they have unexpectedly made payments, sometimes when standing close to a contactless card reader. 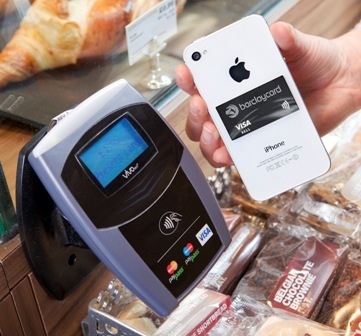 Where issues have occurred – for example the Marks & Spencer and Transport for London Barclaycard believes this has been as a result of the way the transaction has been handled by the consumer or the merchant at the point of sale. An estimated 32 million contactless cards are in circulation in Britain and in January banks began to adopt measures to prevent fraud on new cards.